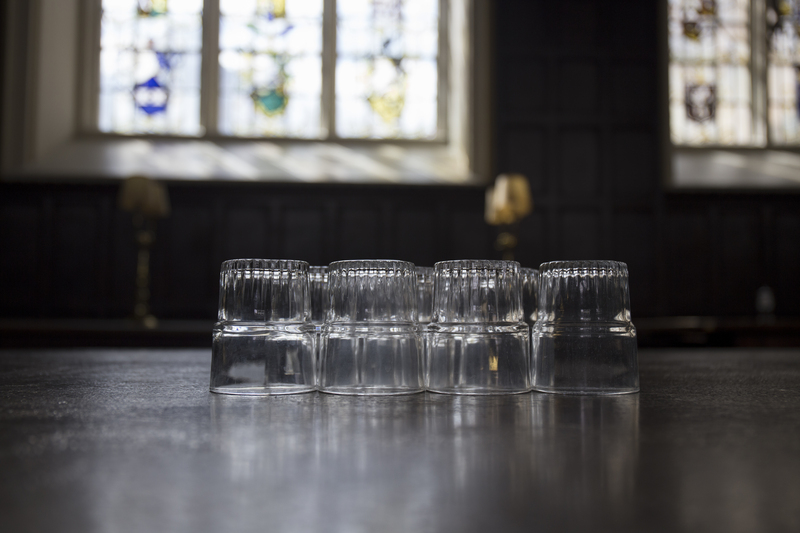 Oriel College Dining Hall has been serving meals to students, staff, and fellows for more than 400 years. Located in the First Quad next to the Chapel, it serves as a central gathering point for students during Breakfast, Lunch, Dinner, and many special events throughout the year. Oriel serves full meals 6 days a week, including a formal hall service every evening other than Saturday. 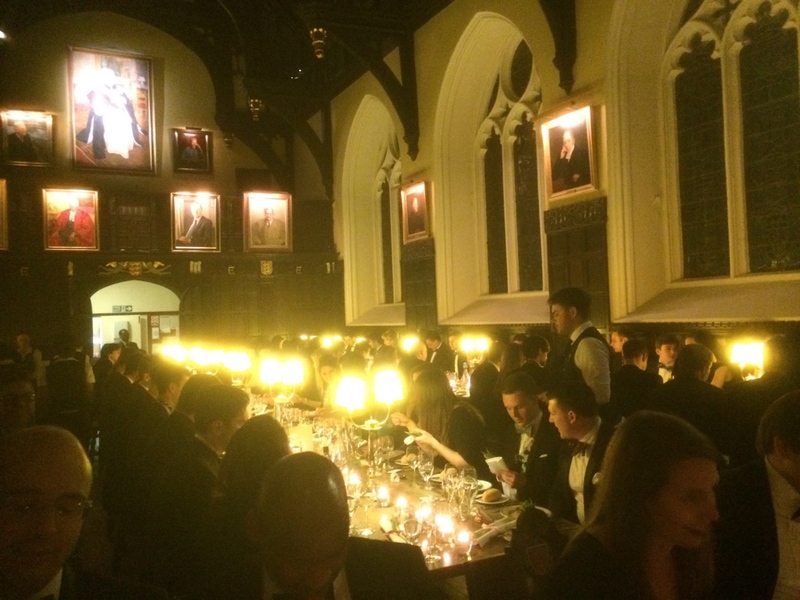 The college welcomes students’ guests to all meals (though a limit is set on Sunday formal). Meals are heavily subsidised by the College, resulting in affordable prices. The College is able to cater for a wide variety of dietary requirements and these can be added to the meal booking system. You can book meals using the online meal booking system, here. Breakfast is is served from 8:15- 8:45, Monday through Saturday. Both a continental and ‘full English’ breakfast are served. Pre-booking is not required and you can purchase items individually if you wish. A cooked Breakfast costs £2.90 and continental costs £2.10. Sunday Brunch is a relaxing way to recover from the many social activities happening on Saturday evening in and around Oxford. Served from 11 am to 1 pm, you can choose from a Full English Breakfast or a normal lunch. Along with free tea, coffee & toast, you can choose from a variety of additional items you can purchase including fruit, yogurt, jacket potatoes, muffins, croissants and additional portions of everything else. You are required to pre-book Sunday Brunch and it costs £3.20. Lunch is is served between 12.45 and 1.30, Monday to Saturday. It is served cafeteria style, with two main dishes (one vegetarian) along with a salad bar. Pre-booking is not required and you can purchase items individually if you wish. ‘Informal’ is served from 18:30 to 19:00, Sunday to Friday. It is a set, two-course menu and is served at the tables with platters of the main dish and sides passed around. It includes bread and dessert. There is no dress code, although pre-booking is required via the online meal booking system before 11 am. 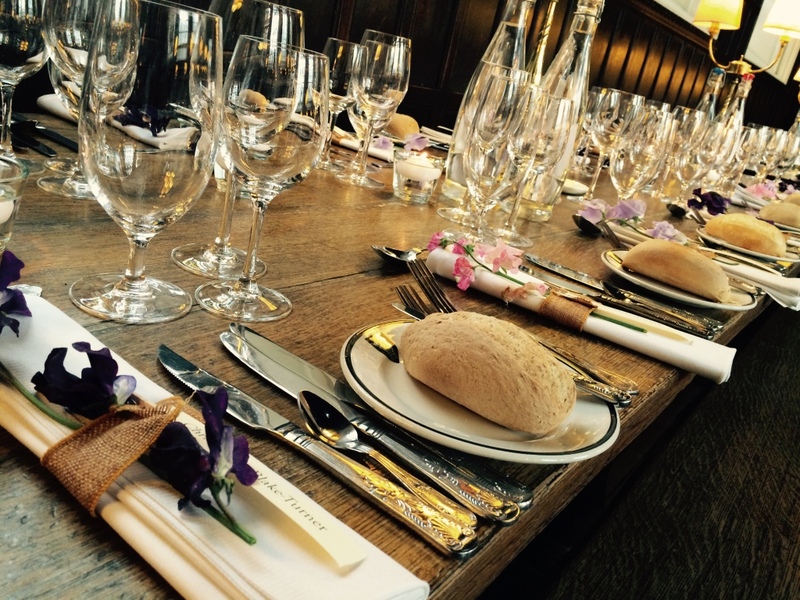 ‘Formal’ is one of the most popular meals amongst the MCR, with Sunday Formal Hall being the most popular of all. It is a served, three-course set menu with formal seating. There is a list of alcoholic and non-alcoholic drinks, including an extensive wine list, which can be charged to your College ‘battels’ account. Members and guests must wear formal dress, meaning a suit for men and the equivalent dress for women. All Oriel College students must wear gowns to Formal, though guests are not required to do so. Pre-booking is required via the online meal booking system, which closes at 11 am. Sunday Formal is particularly popular, often requiring booking further in advance and at least by the Friday before. 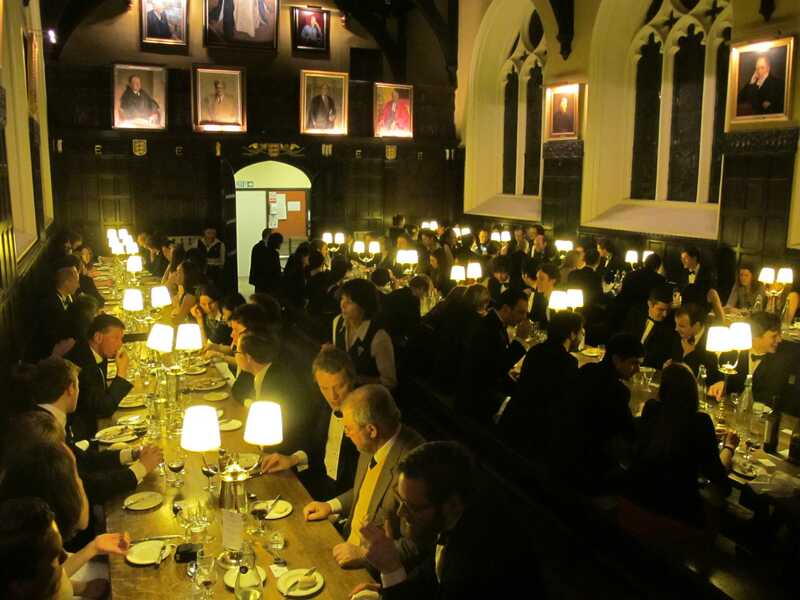 One of the benefits of being an MCR member at Oriel is that all full members are entitled to dine at High Table once a term. 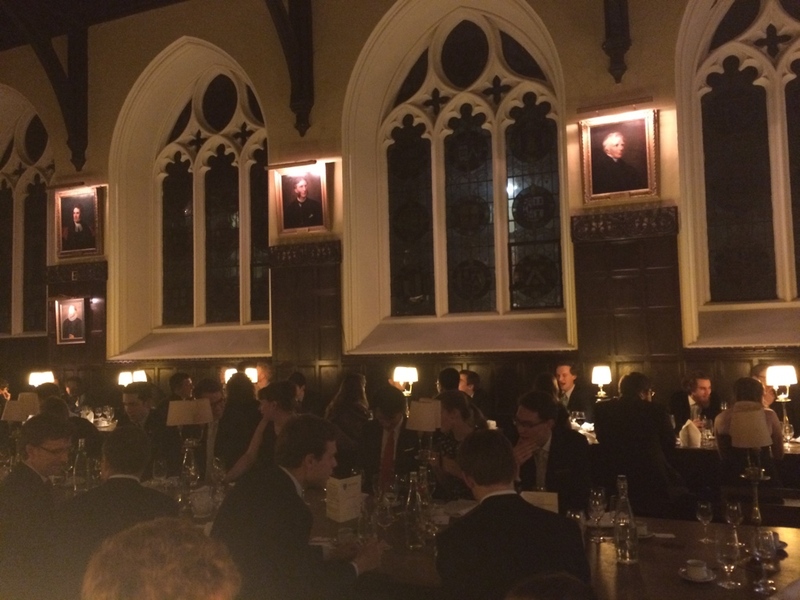 High Table hosts Fellows, SCR members and their guests, so that each High Table dinner is different! This meal is free, although you do pay for wine. Booking information is sent out at the beginning of each term. Each Sunday, following formal hall, Oriel MCR provides ‘Second Desserts’ for its members. A variety of cheeses, along with fresh fruits & tasty cakes are provided free of charge in the MCR. The MCR bar is also open every Sunday.